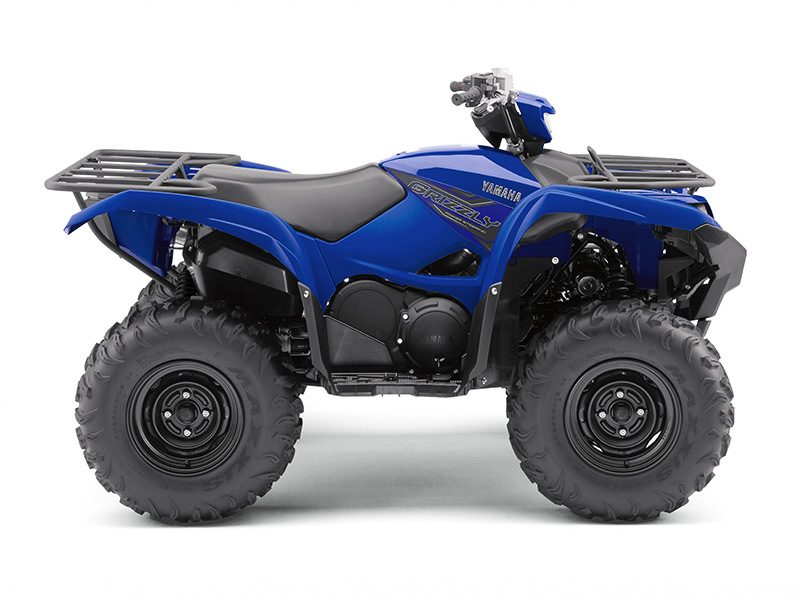 This class-leading ATV now moves to the next level with a new 708cc engine that gives you more torque for work… or play. Its compact new bodywork gets LED lights and a halogen work light for more powerful illumination. And the 26-inch tyres give higher traction and durability. 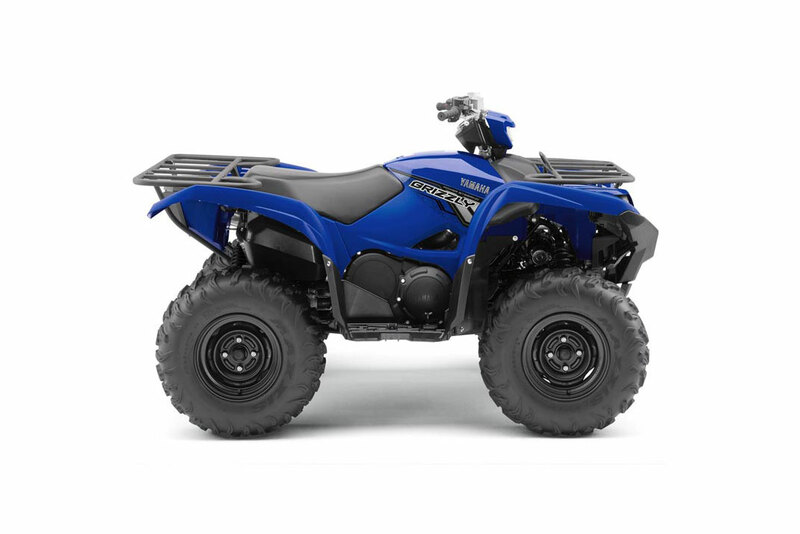 Featuring Yamaha's Ultramatic® transmission and On-Command® drive system - together with Electronic Power Steering (EPS model) - the Grizzly 700 gives you even more performance, style and functionality. 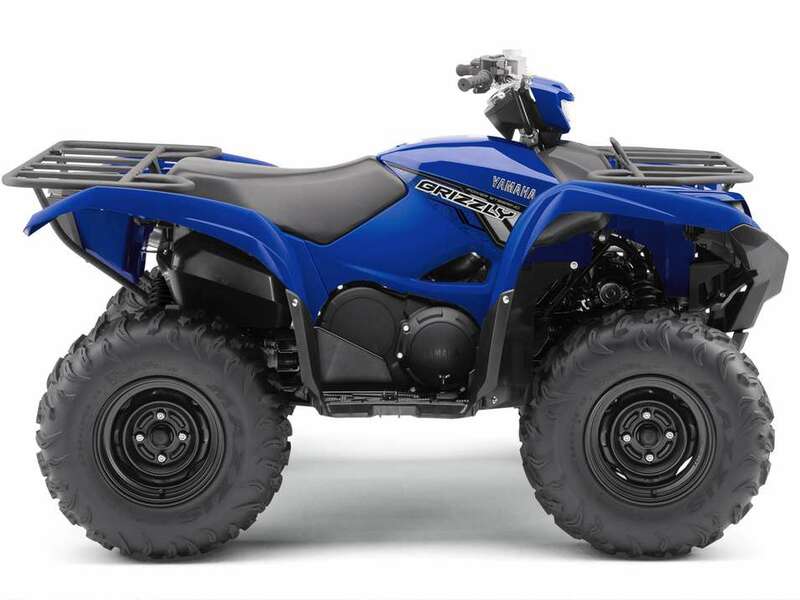 All Yamaha Utility ATV and ROV come with 3 year factory warranty. 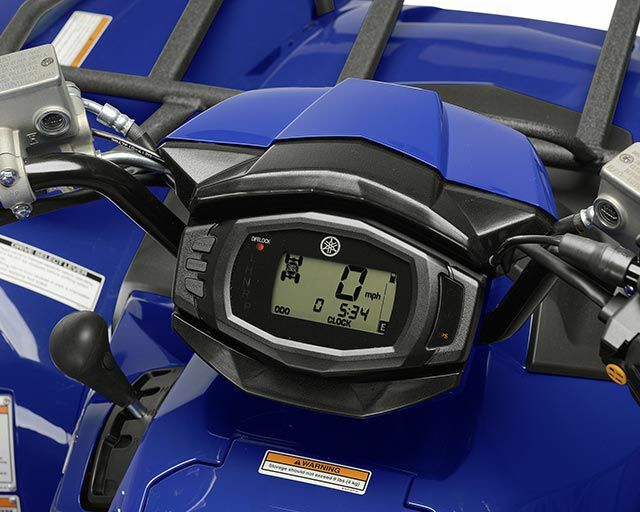 The easy to read LCD multi-function instruments feature a fuel gauge, speedometer, odometer, dual trip meters, hour meter, clock, 4WD/Diff Lock status, transmission gear selector and EPS warning light, the newly designed meter is located closer to the rider so that accurate machine status can be viewed quickly. For added convenience there is a 12V DC outlet to power accessories. Four-wheel hydraulic disc brakes with dual-piston calipers serve up powerful and consistent braking performance to add to rider confidence with unmatched braking feel. 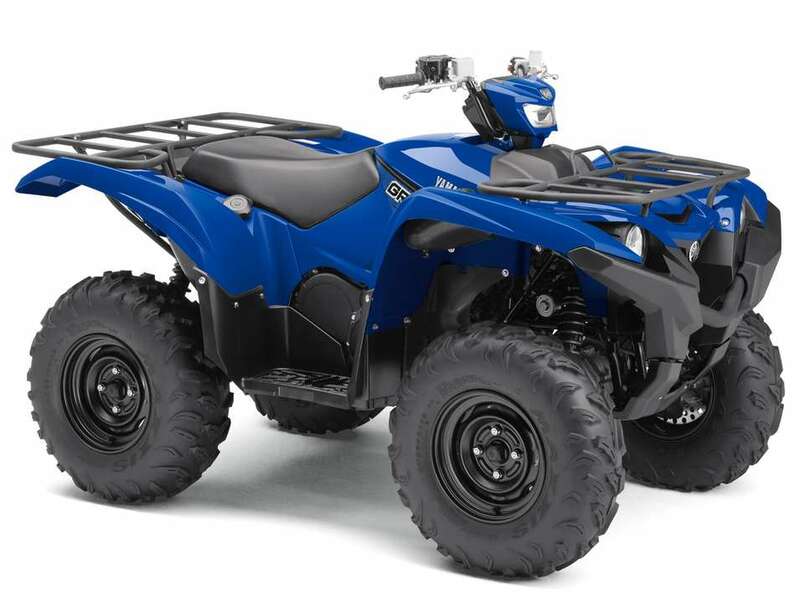 To give higher levels of riding comfort together with superior handling, the Grizzly 700 EPS is equipped with newly designed KYB nitrogen gas shocks at the front and rear. Giving increased stroke and running with revised damping settings as well as a softer initial stroke at the rear end, these new shocks give 193mm front travel and 232mm rear travel. 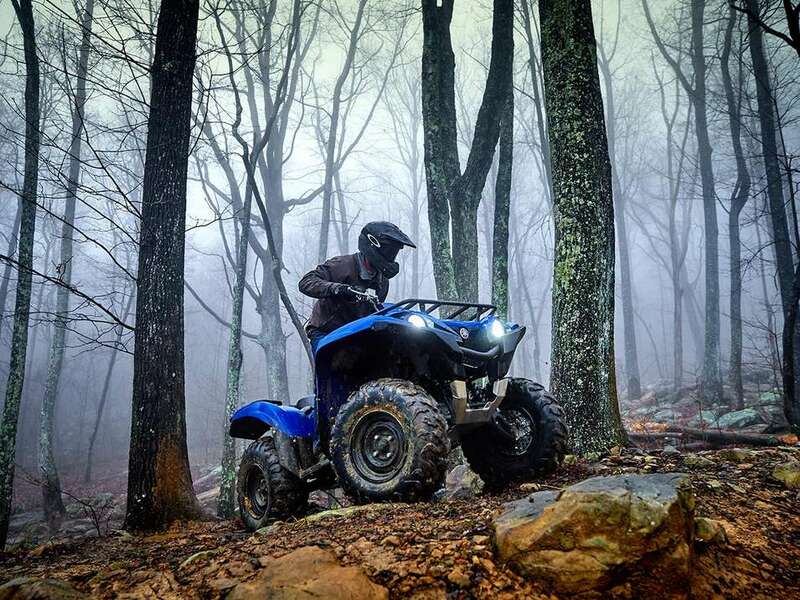 The Grizzly EPS' styling features LED headlights with a handlebar-mounted halogen work light, an LED taillight, reshaped fenders, with three large storage compartments and large-diameter front and rear racks with excellent load capacity. Rugged, large-diameter steel cargo racks with durable wrinkle paint finish can pack a total of 140kg combined 50kg at the front and 90kg at the rear. Three on-board storage compartments keep things secure. The three-position On-Command® 4WD system lets you switch between 2WD, limited-slip 4WD and a fully locked differential 4WD all with the simple push of a button. Override button allows engine to reach maximum rpm in full diff lock mode. 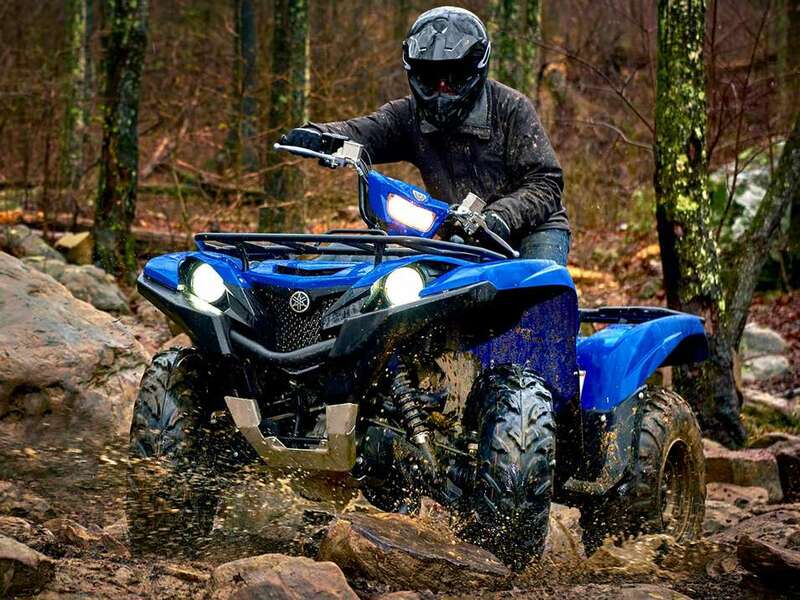 The Grizzly® EPS features a powerful DOHC, 708cc, 4-valve, fuel-injected engine with optimized torque, power delivery and engine character for aggressive recreational riding. 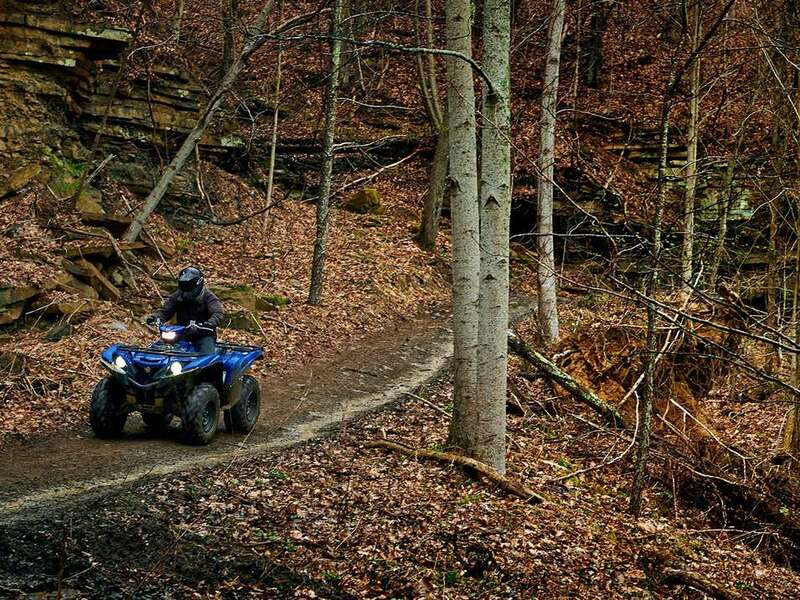 Grizzly EPS Ultramatic® transmission features a gated shifter, dual-range plus reverse gear, and is the most advanced—and durable—CVT drive system available. An automatic centrifugal clutch maintains constant belt tension for reduced belt wear and a sprag clutch delivers natural all-wheel engine braking.